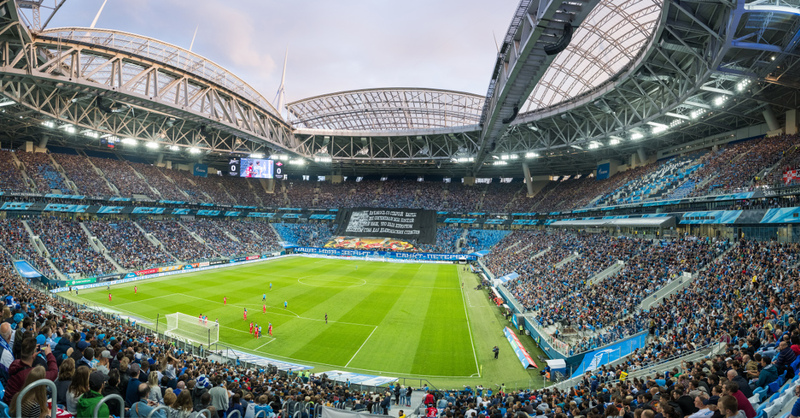 Saint Petersburg Stadium, also referred to as Zenit Arena, Krestovsky Stadium, and Piter Arena, is the recently opened new stadium of FC Zenit. It got built at the site of the former Kirov Stadium. Planning for the new stadium began late 2005, and first construction works started by the end of 2008. The stadium was initially planned to be completed in 2009, but works were hampered by a series of delays, including a redesign to comply with FIFA requirements and fraud investigations. 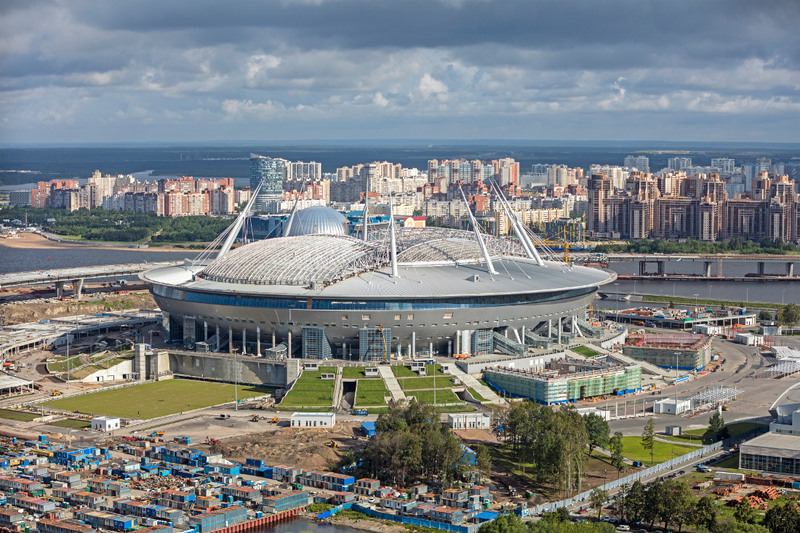 Saint Petersburg Stadium was initially to be funded by Russian gas firm Gazprom, however after they pulled out the project was taken over by the St. Petersburg city government. Works finally sped up in 2016 and the stadium was completed in April 2017, however overall costs had soared past $1 billion, which made it one of the most expensive stadiums ever built. 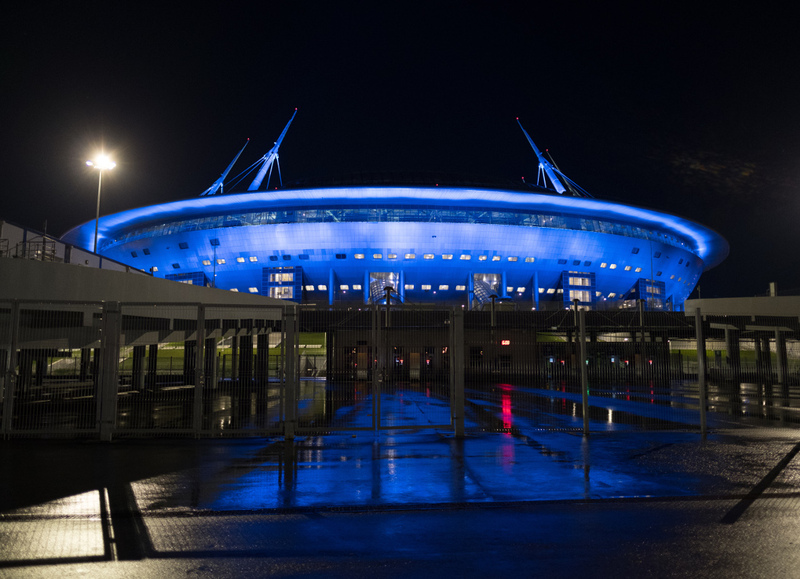 The first official match at Saint Petersburg Stadium was played on 22 April 2017 when Zenit hosted Ural for a league match (2-0). The stadium has been designed by Japanese architecture firm Kisho Kurokawa and resembles the form of a spaceship with the roof held up by four masts. It has some similarities with that of the Japanese Toyota Stadium, which was designed by the same firm. 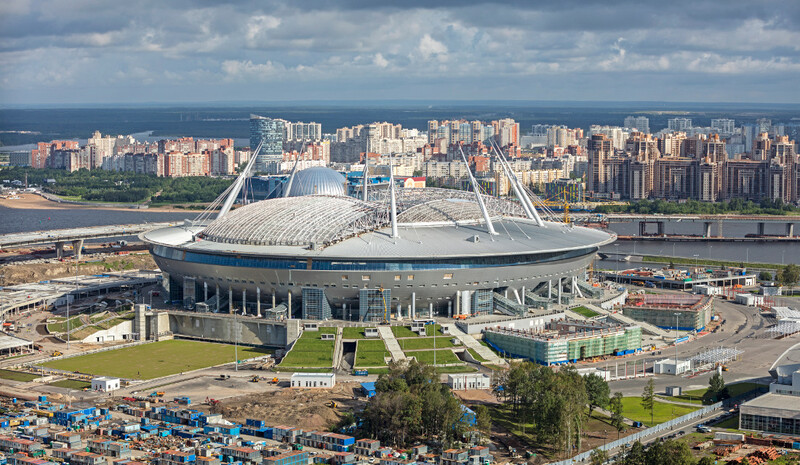 Saint Petersburg Stadium is going to be one of the playing venues of the 2018 World Cup in Russia, during which it will host four first round group matches, a quarter final, a semi final, and the match for third place. It also hosted four matches during the 2017 Confederations Cup, including the final. Capacity of the stadium has been reduced to 56,196 for regular league matches, but will be increased to around 68,000 for the World Cup. Saint Petersburg Stadium is located on the western tip of Krestovsky Island in the north-west of St. Petersburg. The stadium lies about 7.5 kilometres away from Palace Square in St. Petersburg’s city centre. The nearest metro station is Krestovsky Ostrov on the purple line 5, which runs right through central St. Petersburg. It is still a 25-minute walk from the station to the stadium through Maritime Victory Park though. Bus 10 and 25 stop a little closer to the stadium, but still a 15-minute walk away. Bus 10 runs through central St. Petersburg while bus 25 runs through northern parts of St. Petersburg. Saint Petersburg Stadium is located on the tip of Krestovsky Island surrounded on three sides by the Baltic Sea. On its eastern side lie various sports facilities, the pleasant Maritime Victory Park, including an amusement park, and further on residential areas. It is a pleasant area on a nice day, which is also popular with the locals. There are furthermore a reasonable of restaurants in the area, mostly on the southern shore. The nearby Karl-Friedrich Brewhouse has a large beer garden. There are a few hotels near Saint Petersburg Stadium, but they are all of the luxurious type so expect to pay a hefty price. The Arena Hotel and Hotel Park Krestovskiy are located right next to the stadium, while Parklane Resort and SPA and Hermes Park Hotel are located closer to the metro station. Click here for an overview of hotels near Saint Petersburg Stadium, and here to explore other options in St. Petersburg. 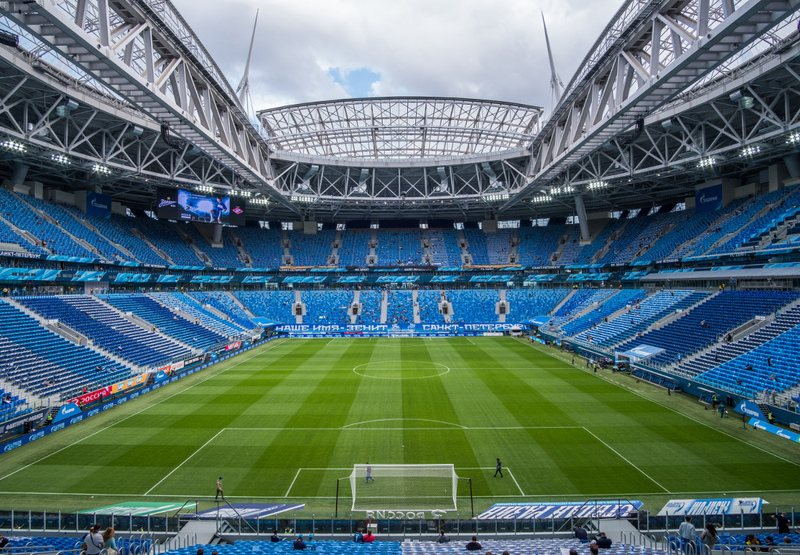 Tickets for Zenit games can be bought online, at the ticket office of Petrovsky Stadium, at the club stores at Nevskiy Prospekt 20 in the city centre, Ladozhsky Railway Station (2nd Floor), or Moskovsky Railway Station, or any of the M.Video stores. Ticket prices depend on the opponent, but expect to pay from RUB 300 for an upper tier seat to RUB 2,300 for a central seat at one of the sides. Other lower-tier seats cost between RUB 700 and RUB 1,700. Email online-ticket@fc-zenit.ru for more information. FC-Zenit.ru – Official website of FC Zenit. Visit-Petersburg.ru – Official tourist portal of the city. Metro.spb.ru – Website of the Saint-Petersburg metro. I came from New Delhi, India to watch WC match # 63. It was between Belgium & England. The experience, both of the match as well as of the stadium left me totally exhilarated. My compliments to the citizens & authorities of Saint Petersburg. Watching the FIFA match at Saint Petersburg Stadium of Argentina Vs Nigeria was a wonderful experience. Hope to see more. I am an Indian lady watching the match watching the game late, late into the night.